St Mary, Halford, is on the south-west corner of Queen's Street. The village lies on the crossing point of the River Stour and the Fosse Way, the great Roman road which runs from Exeter to Lincoln. It is most likely that the Roman travellers along this road were the first to bring Christianity to this part of Warwickshire. Miraculously, British Christianity here may have survived the region's transition from Romano-British Pengwern to the Anglo-Saxon kingdom of Hwicce. The first recorded rector of St Mary's was inducted at Easter in 1150. This was a few years after the stone Norman church was built, and parts of that still survive, despite later additions and rebuilding. There may have been an earlier, probably timber Saxon church on the same site. The church later gained a south chapel dedicated to St Thomas (Becket) of Canterbury. Inside, it contains a fourteenth century font with a sixteenth century wooden cover. 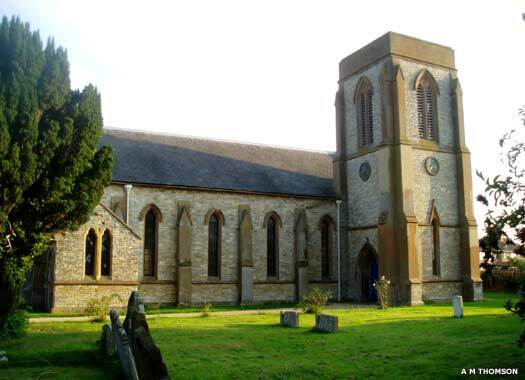 St David, Newbold-on-Stour, is situated on the southern side of Stratford Road, opposite the entrance to Church Lane. 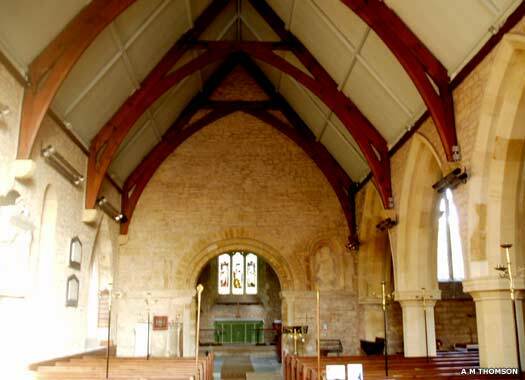 The original chapel at Newbold belonged to the church of Tredington, and there were other chapels that held the same status, at Armscote and Darlingscott, but the date at which they were founded is not known. The four chapels were granted in 1549 to Richard Field and others, but all of them seem to have been demolished, perhaps very quickly. Of those original chapel sites, Darlingscott now has a replacement Victorian church, and Newbold, too, received a replacement. This was constructed between 1833-1835, and consisted of a chancel, north vestry, nave, north aisle and north-west tower. 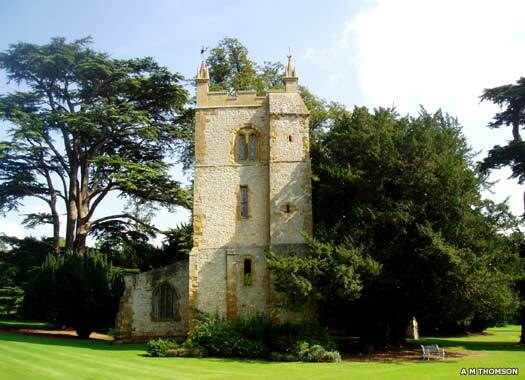 The design was in the style of the thirteenth century, and the tower was surmounted by an octagonal lead-covered spire. The church was restored between 1884-1889, but the spire was removed in 1948. 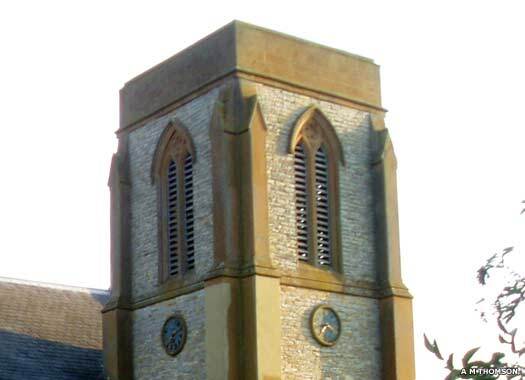 Ettington Old Church, formerly known as Holy Trinity Ettington, sits in Ettington Park, off Shipston Road. 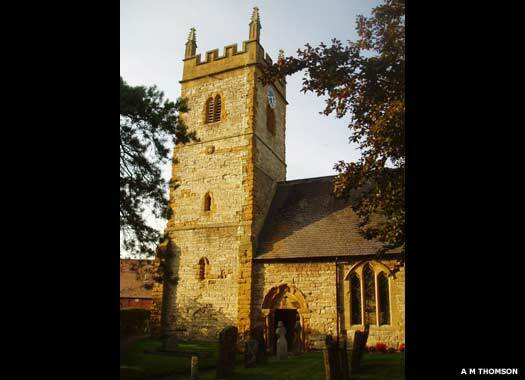 The area was earlier spelt Eatington, and is an extensive rural parish in the south-west of Warwickshire. 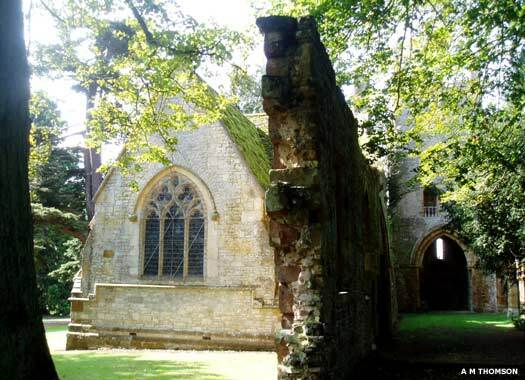 The ancient parish church was constructed near Ettington Hall about 1206, consisting of a chancel, nave, north and south transepts, north aisle to the nave, and a west tower. The north arcade was probably the site of the Chantry of St Nicholas. 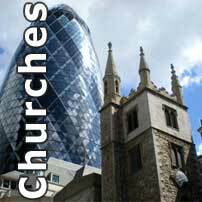 Owing to the great distance between the church and Upper Ettington, which had become, and still is, the principal centre of population, a vestry meeting held on 28 April 1794 decided to erect a new church in that hamlet, which was dedicated to St Thomas Becket. The Old Church is now in ruins. Although only the south transept, which was restored in 1825, and the tower survive to any substantial degree, the chantry collapsed in 1875 and was immediately rebuilt by Evelyn Philip.